•	New interface using the HydroComp common GUI (as found in PropCad and NavCad). •	Deployed with equivalent “Premium Edition” features, such as scripting, batch processing, and floating network licensing. •	Interactive smoothing of pitch and/or camber during the optimum design process. •	Ability to define a nozzle or tip-gap “effectiveness”. 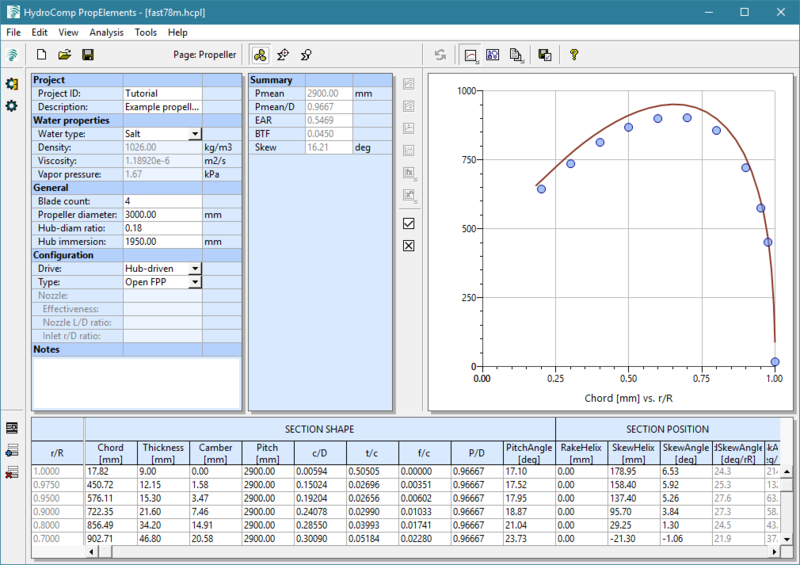 •	Added section cavitation criteria for chord and nose radius. •	Prediction of induced volumetric flow rate (for “pump action” applications). •	Additional data exchange with NavCad (for initial design) and PropCad (for manufacture). •	Performance properties for Generic foil option. •	Foil-specific CF friction line. •	Analysis at tip sections.